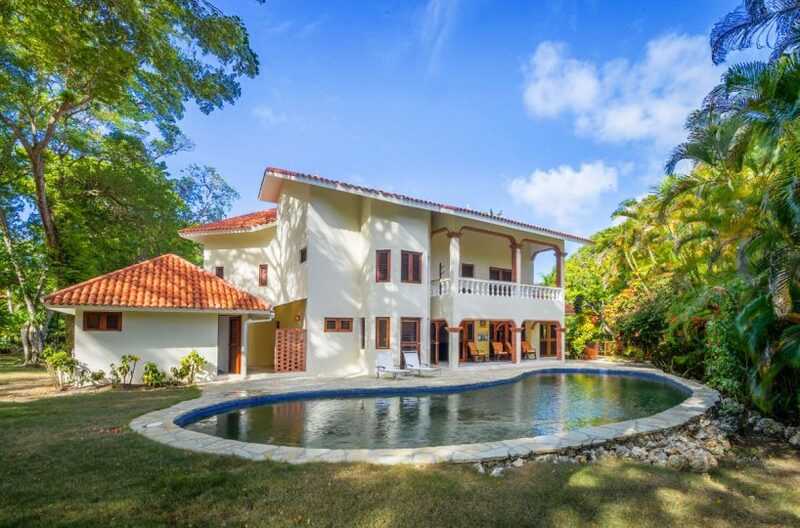 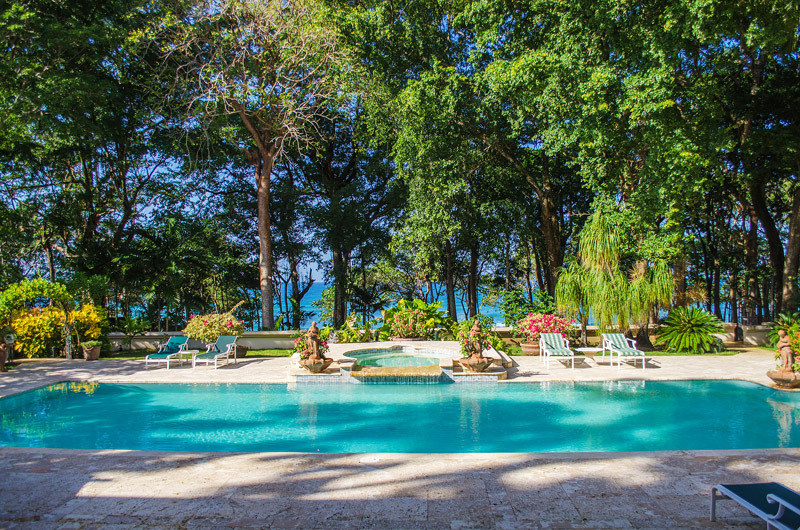 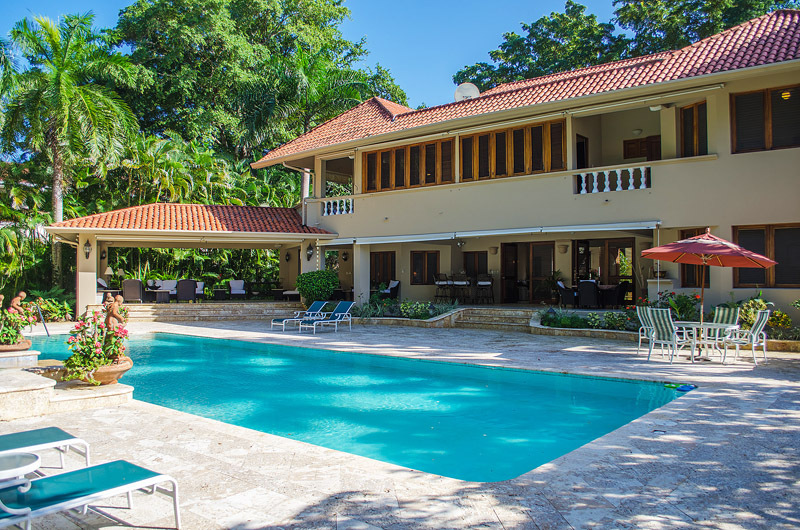 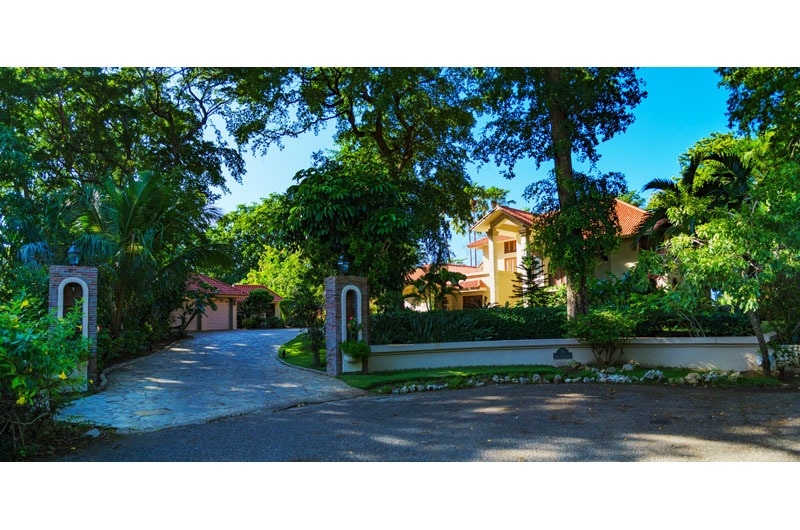 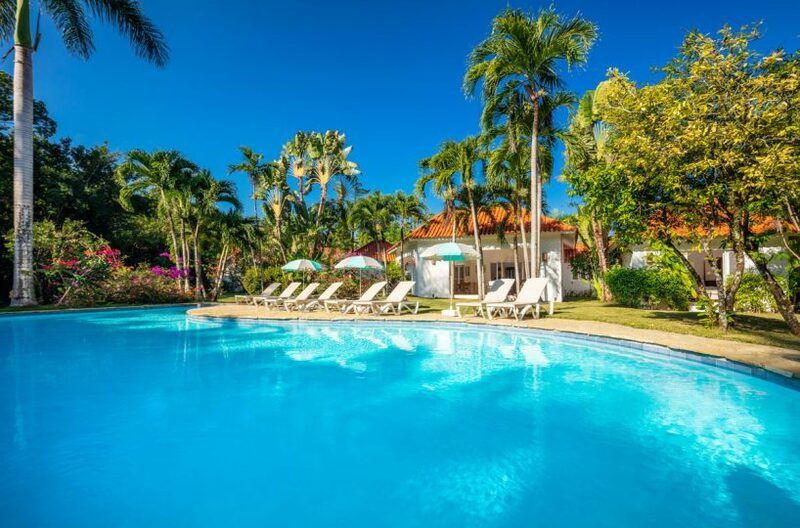 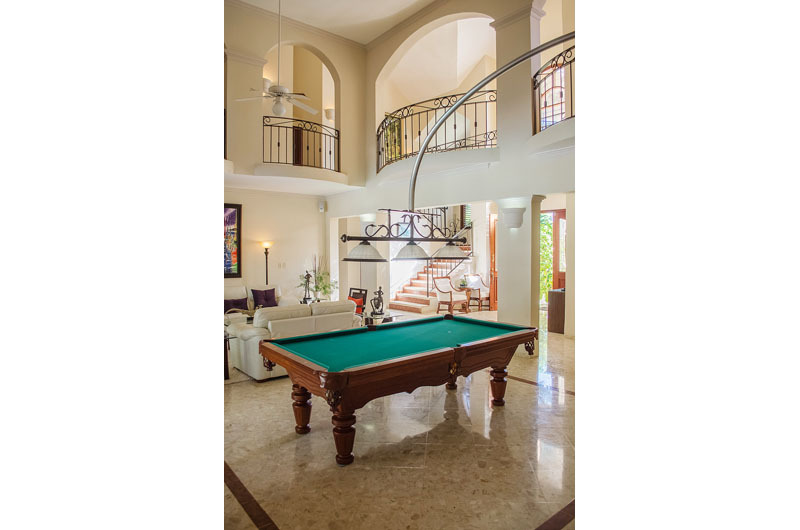 Villa Encantadora is an oceanfront 5 bedroom, 6 bath property located in the premier gated community of Sea Horse Ranch on the North coast of the Dominican Republic. 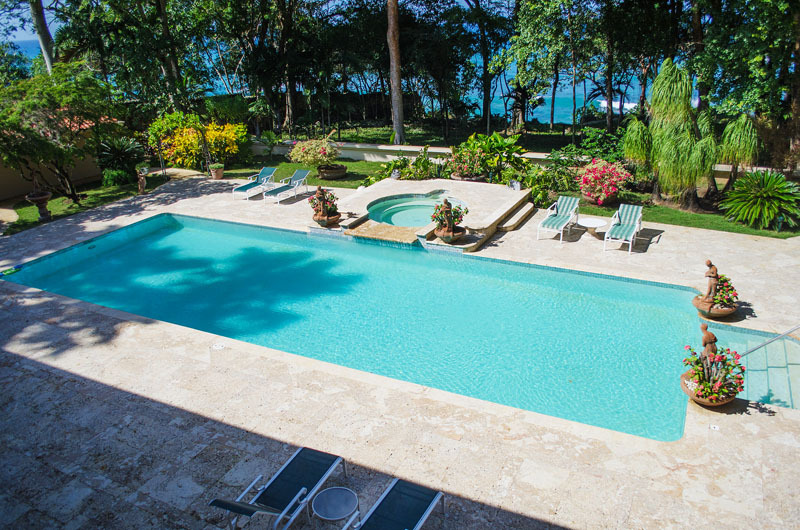 The two-story villa is located just steps from a semi-private sandy beach, one of the best for swimming in the vicinity. 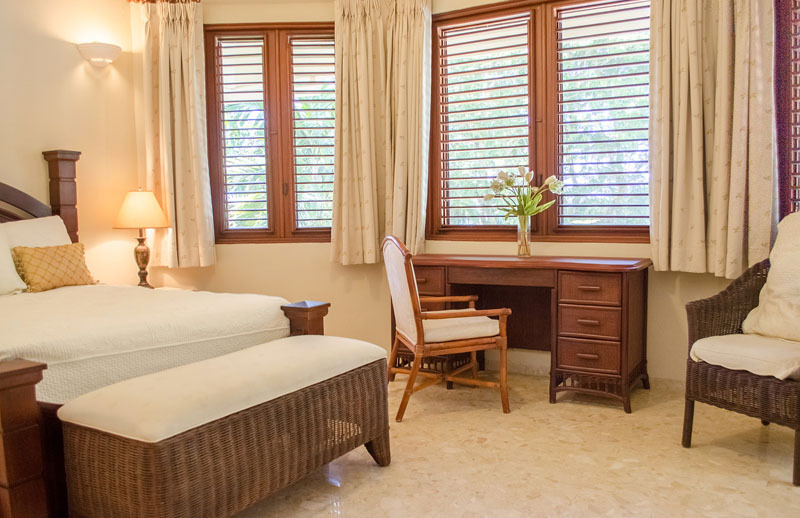 The villa is situated at the end of a very tranquil cul-de-sac, and is secluded and private. 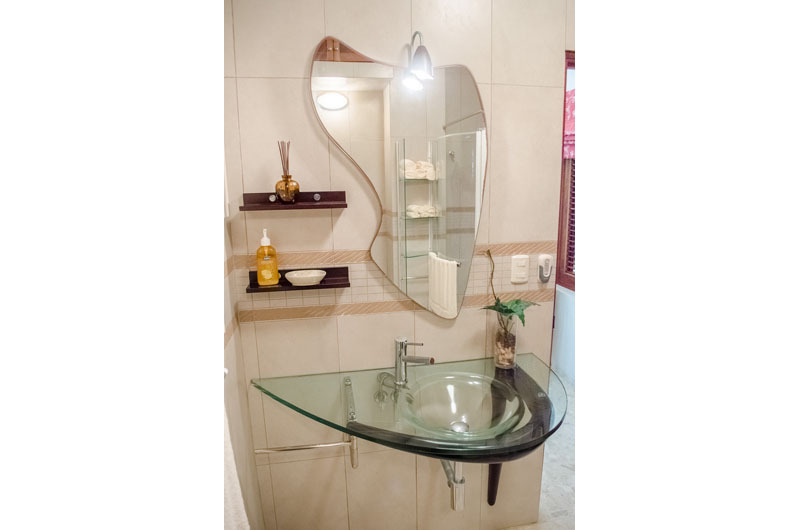 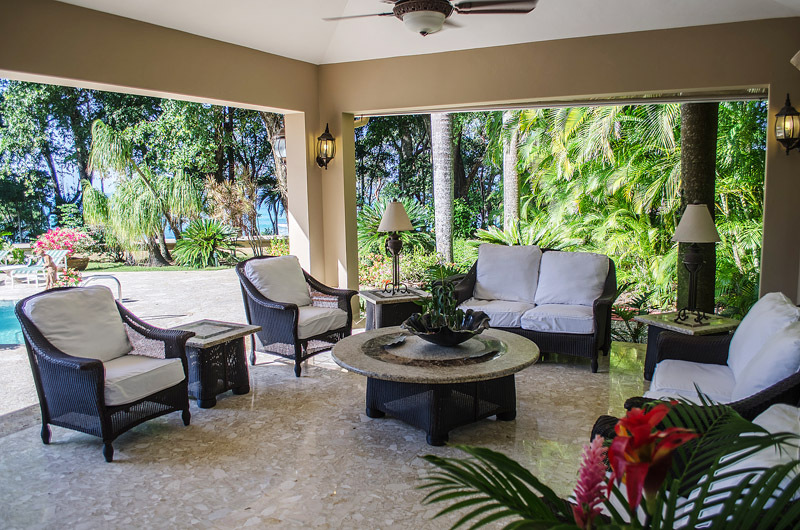 This ocean front property enjoys both an ocean view and mature, shady trees, with a pool, lush tropical garden, separate garage, and many amenities such as a Jacuzzi, enclosed outdoor shower, office space, laundry, storage and separate guest/service quarters. 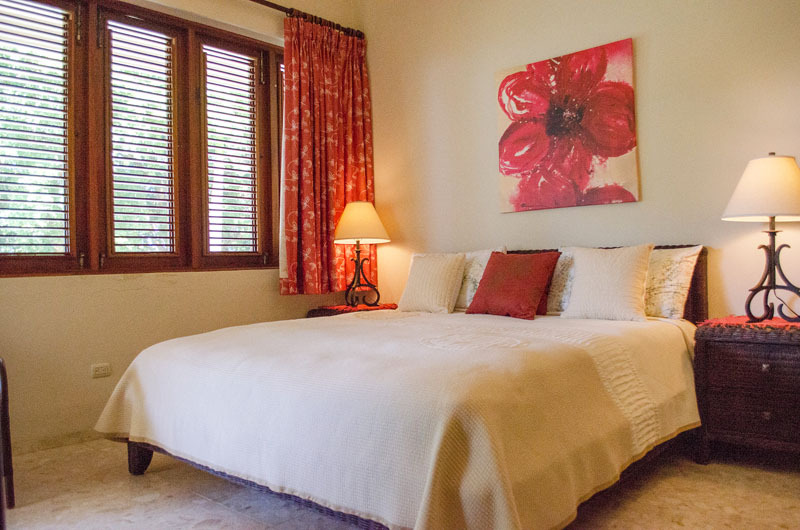 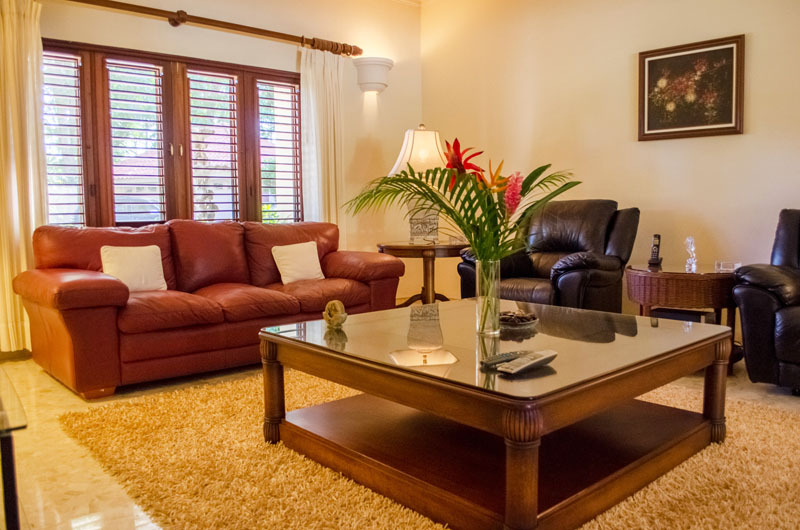 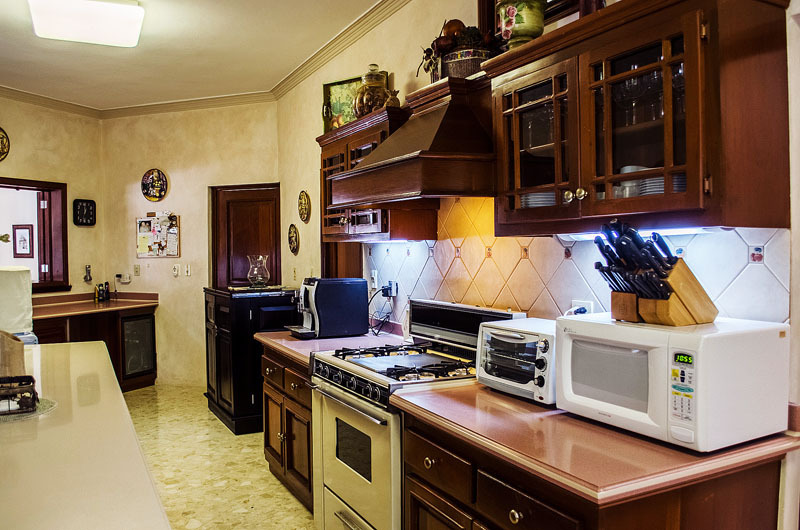 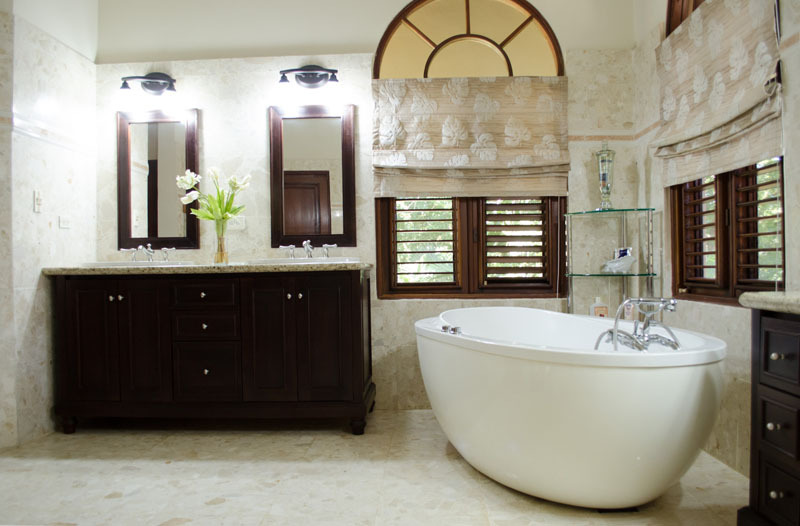 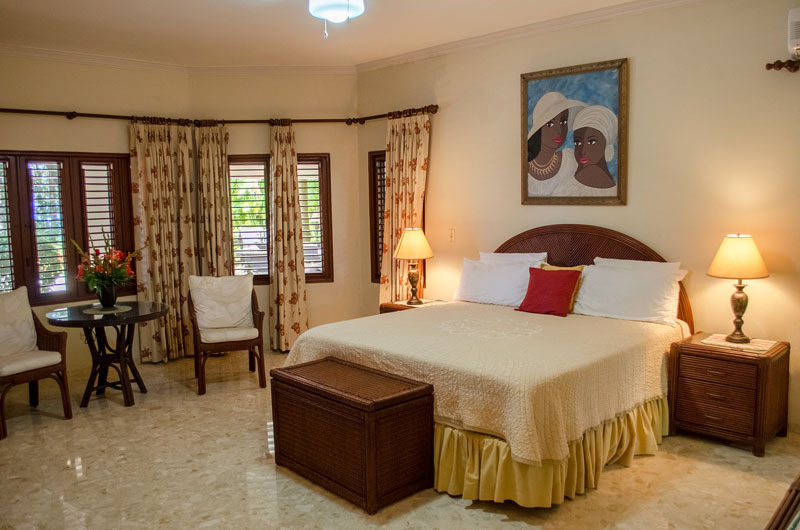 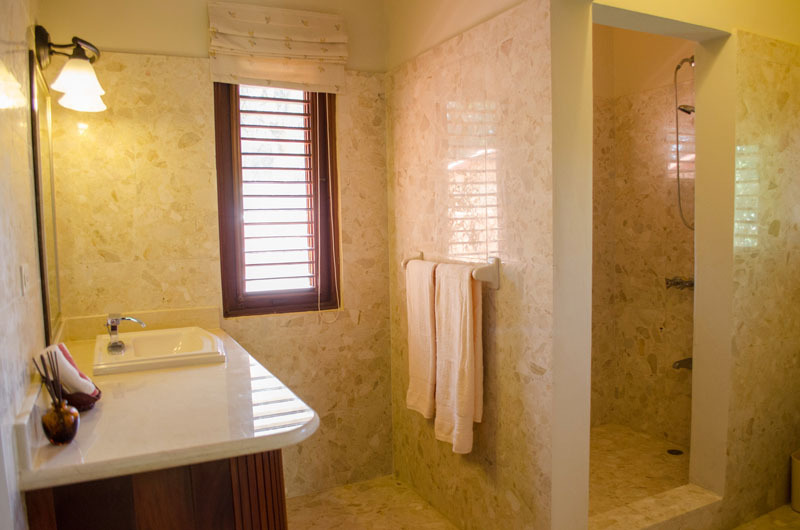 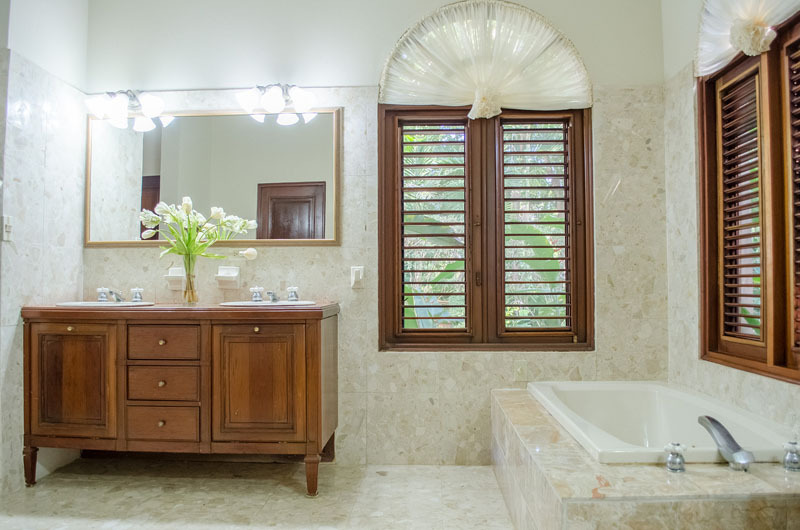 Traditional interior design highlights mahogany woodwork and windows, maintaining a beloved Caribbean flair. 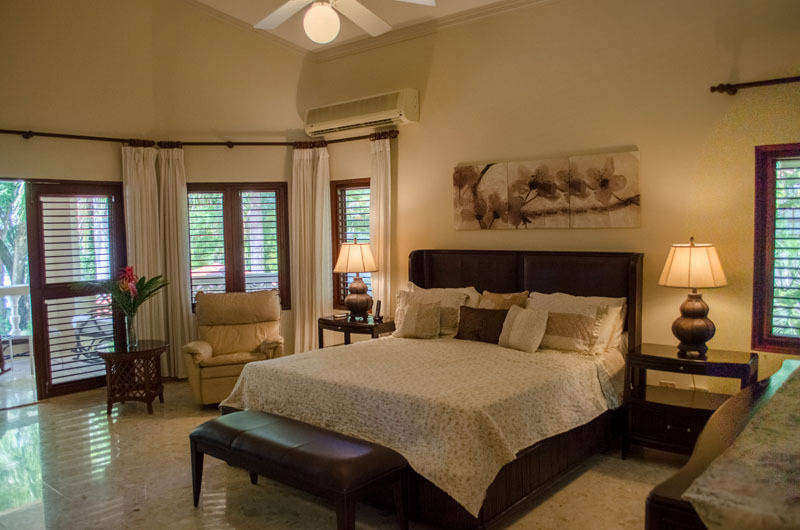 Balconies face the ocean for the second floor bedrooms, and all bedrooms have private en-suite baths, with an additional ½ guest bath on the ground floor. 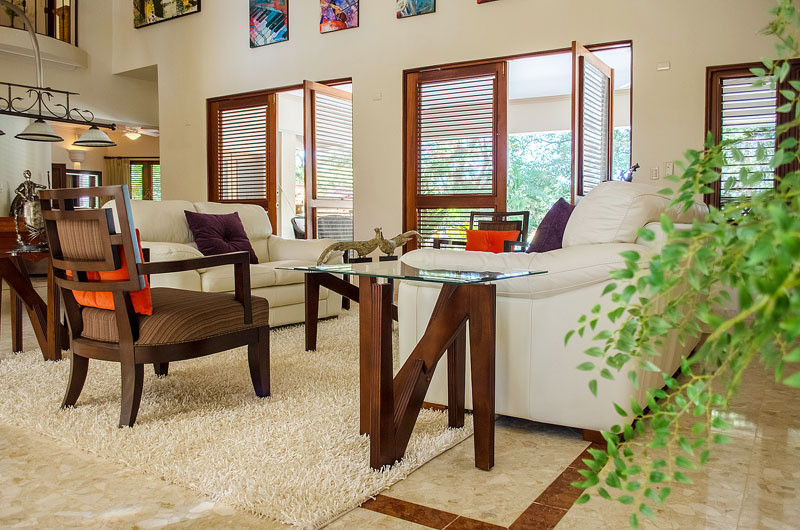 A large open living area on the ground floor opens to a surrounding terrace. 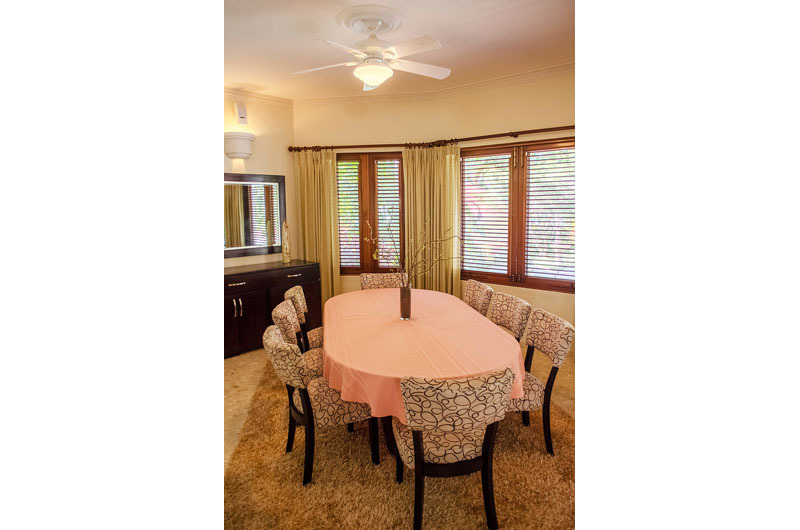 The beautifully furnished dining room enjoys an ocean view, and the well-appointed kitchen is a dream for chefs.